We are making our Oracle-Black in typical Double Helix fashion; with unconventional approaches to glass chemistry using low toxicity ingredients. 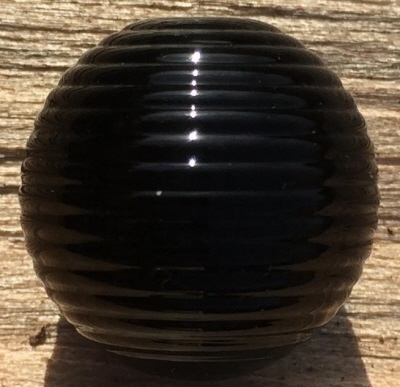 Oracle-Black has smooth working characteristics, reads "darker" than some existing black glasses, does not spread excessively, and can be worked very hot without boiling. It is made in USA without Antimony, Arsenic, Cadmium, Chromium, Lead, Nickel, or Selenium. Rods are blue but strike to black during the annealing cycle. Stays neutral with striking colours but reacts to lustre colours.